Whether you worked with us as a designer, researcher, student, patient, family member or hospital staff member, your involvement made a valuable contribution to a project that helped support the health and care of our community. Thank you to Auckland DHB and AUT for backing an amazing venture. We look forward to continued collaboration and partnership. The hospital has been in the process of refurbishing its main entrance. New retailers, flooring, paint, and consequently, new wayfinding have been a large part of the work. As the area has a high amount of traffic, with over 1 million visitors a year, the refurbishment has been phased over a series of months. As walls get painted, old signs have to come down. Usually, old signage or laminated A3s would go up after the work is complete, to help people find their way before the new signage is installed. However, the team realised this was a unique opportunity. During this interim phase we are using the time wisely—to test signage at actual size in the coming months before the final installation. These prototypes are in a highly visible and public area, and for most, will be the first demonstration of a more strategic approach to wayfinding on site. Thanks to the Facilities team for allowing us to give it a go, and to make sure we've got it right! 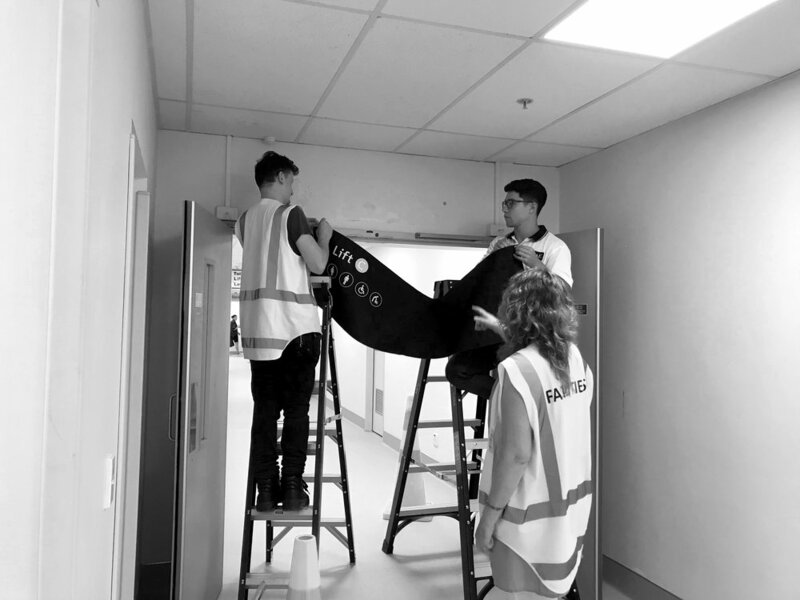 Recently, we worked with the Communications team at Auckland City Hospital to creatively communicate the development of the Clinical Decision Unit (CDU). The CDU is a $9 million dollar facility that will be a first for Auckland City Hospital. When it is complete the Clinical Decision Unit will be the place where decisions are made about the future care of acute patients. 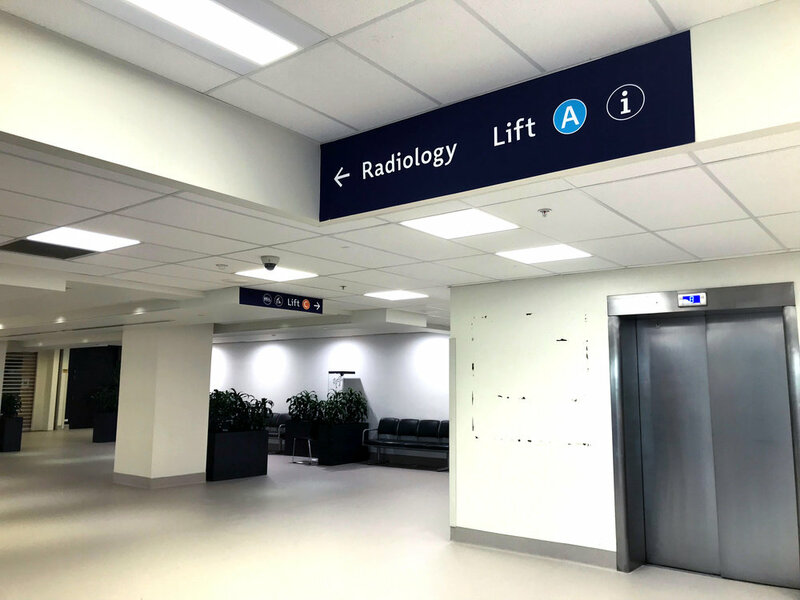 A safe and comfortable facility where patients are assessed away from the emergency department, it will provide a better experience for patients and their whānau. 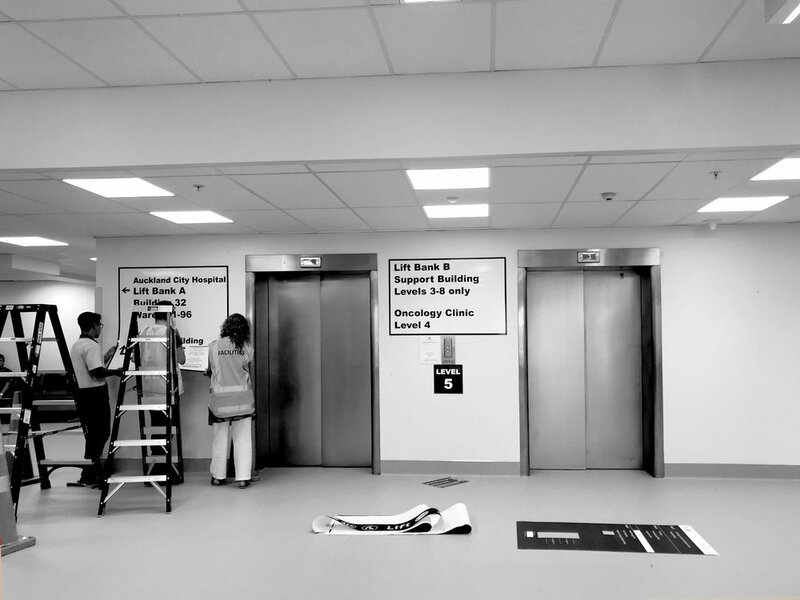 Our aim for the project was to bring visibility of the build to staff and patients so that they would understand the cause of the disruption and get excited about the facility that was being built. The hoardings span 70m on Level 2 at Auckland City Hospital and will remain up for the entirety of the build, finishing mid 2018.